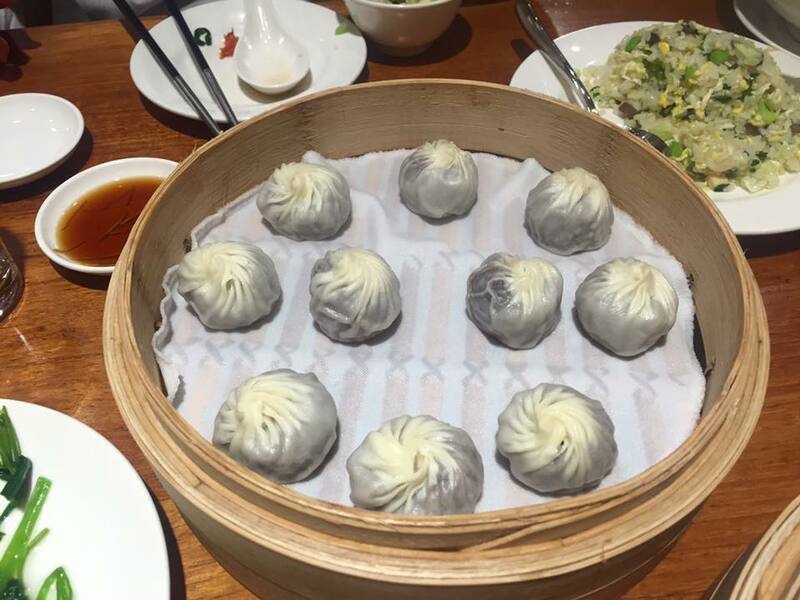 Din Tai Fung is any dimsum lovers' dream destination. 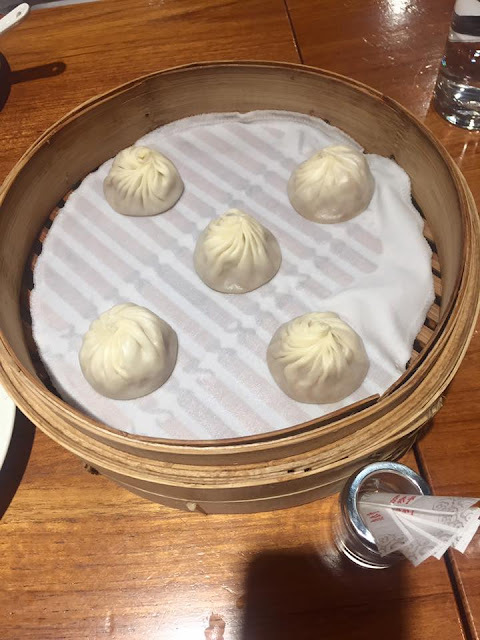 Apart from being spoilt for choice with amazing variety of dimsums on offer, the experience of eating at Din Tai Fung is not to be missed. Young chefs with their aprons give you a feel of doctors at work. 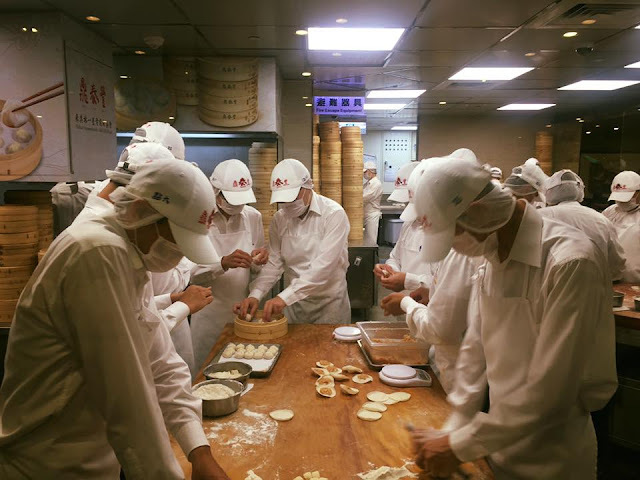 Their precision and industrious attempt at dimsums is to be seen and admired. You actually feel they are Doctor Dumplings at work! The live kitchen is the biggest attraction of this award winning restaurant and provides amazing scenes. (Try and get a seat there!) The skills, coordination, speed and concentration are as admirable as the steaming hot dimsums that arrive on your table. The restaurant specialising in steamed dumplings, also called xiaolongbao, originated in Taiwan and has branches all over the world. 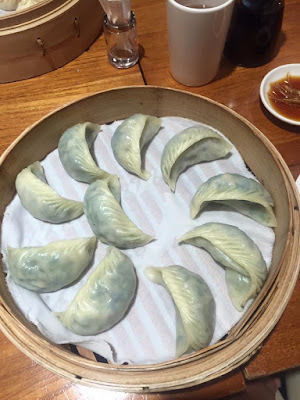 The menu of this Michelin star restaurant has a wide variety of dumplings from chicken, pork, prawns, crabs, mushrooms, spinach, etc. The accompanying dishes such as vinegar mushrooms, egg fried rice, glass noodles, clear vegetable soup and steamed water spinach were also great! We went on a dimsum hog after enjoying the view from the top at another Taiperi icon the Taipei 101. 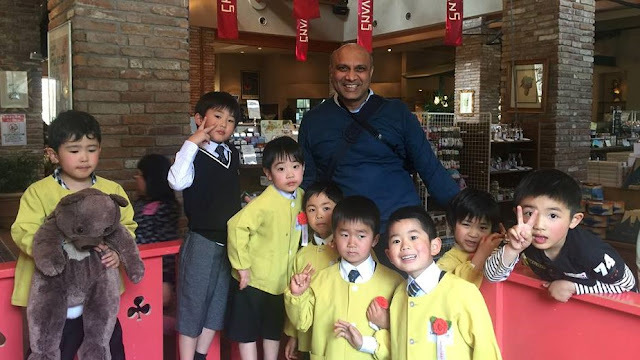 Since the restaurant is located at the same building, is is buzzing during the lunch and dinner hours. The queues can stretch and waiting time can be a minimum 30 minutes. It is best advised to book a table if you are in a group. If you are walking in, it is best to be patient and wait for the table. The final fare on table is worth the wait. 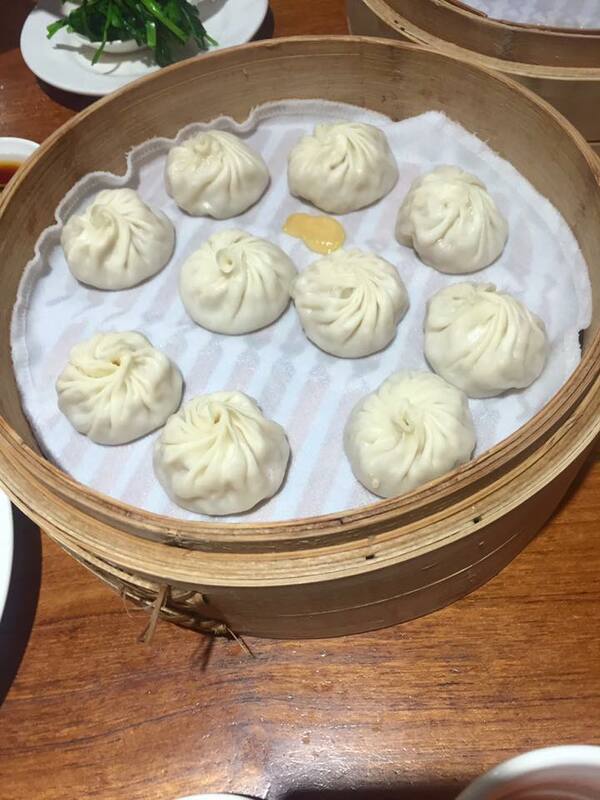 Apart from endless variety of dimsums, Din Tai Fung also has other options such as soups, stir fried dishes, options in fried rice, noodle soups and noodles, we would strongly recommend you to stick to their XiaoLongBao, steamed dumplings, buns and rice buns. For us it was a superb meal. Your visit to Taiwan will be incomplete without visiting the island's most famous and tasty export to the entire world. Seafood dimsums to die for. Must have. Chicken dumplings are steaming hot selling items on the menu.